among men, young men and juniors. 1-2 November 2014. Uzhgorod. Ukraine. In the 1st – 2nd of November, 2014 in Uzhgorod (Ukraine) took place the European Combat Sambo Championship among men, youth and juniors. There were 235 athletes from 15 countries: Ukraine, Belarus, Moldova, Poland, Slovakia, Czech Republic, Azerbaijan, Turkey, Georgia, Romania, Latvia, Lithuania, Armenia, Hungary, Slovenia. The president of the European Combat Sambo Federation Elkhan Veliyev opened the main competition of Europe. "The quantity both of sportsmen and of countries-participants of the European Championship increase from year to year”, – said Elkhan Veliev. – “The level of fighters grows too. This fact confirmed that combat sambo is becoming more and more popular now. We can also see that we develop the most demanded kind of sport in modern society. We have always aspired to the development of combat sambo which made itself wide known by victories in the most important international fights. And we feel the great satisfaction now, seeing at growth of this kind of mix martial arts in all Europe... "
The welcome message of the President of the World Combat Sambo Federation Alexey Maly was read there. Alexey Maly particularly noticed in his message: "On behalf of the World Combat Sambo Federation (WCSF) I welcome the organizers, participants and guests of the European Combat Sambo Championship among men, youth and juniors. I am sincerely grateful to the European Combat Sambo Federation for many years of professional work by the development of the unique martial art and kind of sport – combat sambo. / ... / I believe, that all the participants of the tournament would be permitted to demonstrate their skills, strength of the spirit, the will to win and the dedication to combat sambo in full measure this high day. I wish high achievements in the sport to athletes, good luck and talented students to organizers and trainers and beautiful, memorable fights to spectators and visitors. Let the best man win!" The president of Combat Sambo Federation of Transcarpathian region Oleg Pridachuk and the chief judge of the competition Fedor Seredyuk also greeted participants of the championship. The President of the European Combat Sambo Federation Elkhan Veliyev awarded Maxim Gorbachev, Oleg Pridachuk and Vasil Gotra with honorary diplomas and medals for development and popularization of combat sambo in Europe. 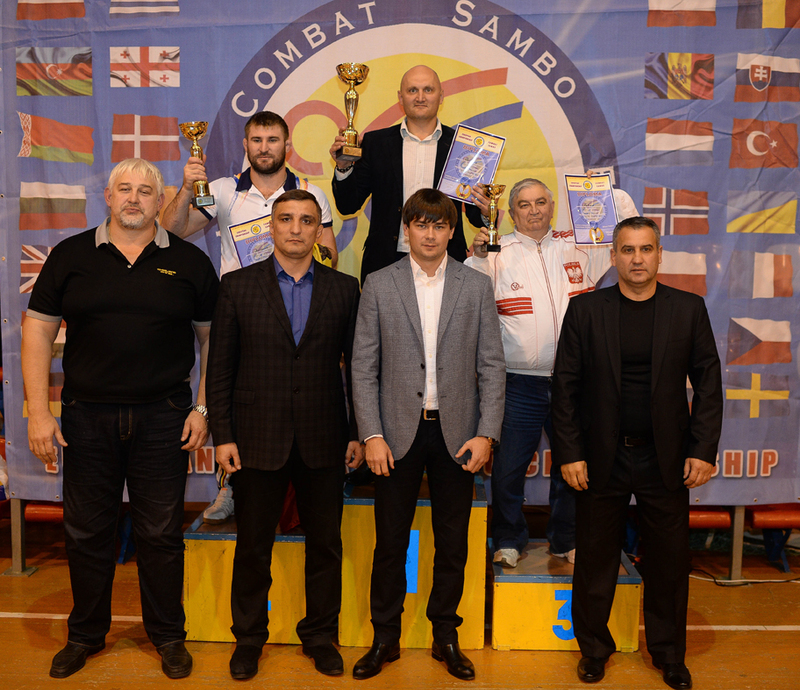 European Combat Sambo Federation, represented by Elkhan Veliyev, express thanks to Maxim Gorbachev and Oleg Pridachuk for the help in the organization and conducting of the European Combat Sambo Championship 2014.